Dropbox has announced that it will be shutting down its Mailbox and Carousel apps, mostly because the apps struggled to gain users. While Dropbox acquired Mailbox in 2013 and launched Carousel just last year in April 2014, the company is now saying it will be shifting it's focus back on the Dropbox app. "The Carousel and Mailbox teams have built products that are loved by many people and their work will continue to have an impact," Dropbox said in a blog post today. The company says it will be taking key features from the Carousel app and will be putting them "back in place where your photos live - in the Dropbox app." Meanwhile, Dropbox plans to use what it's learned from the Mailbox app "to build new ways to communicate and collaborate on Dropbox." Mailbox will be shutting down next year on February 26, with Carousel to follow soon after on March 31. Mailbox is credited to having inspired swiping and other time management features that can be found in the likes of Google's Gmail and Microsoft's Outlook, with Dropbox saying it "ignited a shift in mobile email, and many of its innovations are now ubiquitous across the industry." But it went up against competitors that have entrenched and established ecosystems that are continually seeing new developments, while Mailbox has fallen behind in terms of developments, especially on both Android and iOS. It's Twitter account also went silent around mid-year. Dropbox says that as it deepened it's focus on collaboration, "we realized there's only so much an email app can do to fundamentally fix email. "We've come to believe that the best way for us to improve people's productivity going forward is to streamline the workflows that generate so much email in the first place," it said in a separate blog post. Similarly, with Mailbox, the company says that since launching, "we've learned the vast majority of our users prefer the convenience and simplicity of interacting with their photos directly inside of Dropbox." "In the coming months, we'll integrate some key features of Carousel into the core Dropbox app," the company said in another blog post. 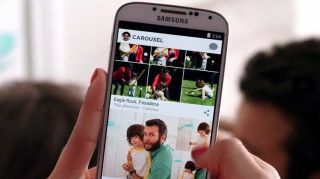 The company will be providing export tools for Carousel for an photos and conversations, while Mailbox users will also be getting export tools and guides to transition their email inbox to new email clients as well.